October is ‘Mission Month’ and this year’s theme is “Christian Families are Missionary Families”. This weekend, 20 and 21 October, collections will take place for ‘World Mission Sunday’ at all Masses throughout the Universal Church. Mission Sunday is one of only three yearly Papal Collections. It has been especially chosen by the Holy Father as a way for all Catholics to give what they can to help support struggling dioceses in the developing world. Mission Sunday supports the promotion of the work of missionaries in poor and remote communities. The funds raised through Mission Sunday help build vital infrastructure, including churches, medical clinics, nurseries and schools. In particular, during 2018, Pope Francis’ official charity for overseas mission in Ireland, World Missions Ireland, is appealing to people of faith to support struggling communities like those found in Ethiopia. This Saturday’s ‘Miles for Mission’ walk/run in the Phoenix Park, Dublin, will help raise funds to support the children of Atse primary school located in one of the most challenging neighbourhoods in Addis Ababa, Ethiopia. In this, the centenary year of the Missionary Society of Saint Columban (the Columban Fathers), the Irish Catholic Bishops’ Conference acknowledges the great worldwide contribution of the Columban Fathers. The society was founded upon the Maynooth Mission to China in 1918. Over the last one hundred years, the Columban Missionaries have been to the forefront of highlighting how the poorest peoples of the world suffer most from the throwaway culture of greed and waste. · World Missions Ireland is the Church’s official charity for overseas mission. They are part of a worldwide network of 120 (Pontifical Missions Societies) charities. Many of their fellow international offices going by the name of Missio. 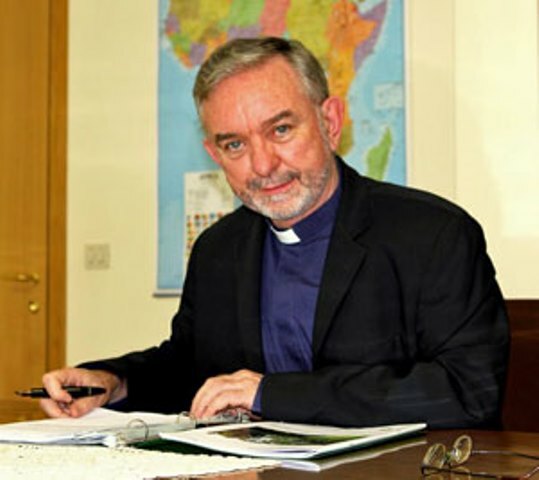 · To take part in the ‘Miles for Mission’ event held by World Missions Ireland and Vincentian Lay Missionaries, visit www.popupraces.ie. Entrants can also register on the day from 10.00am at the Papal Cross in the Phoenix Park, Dublin. The event begins at 11.00am.